We were offline over the weekend due to a server configuration issue, we have migrated over to a new server while the configuration issue is being resolved... for now we do not plan to migrate back and instead activate content as needed. For those who attempted to start or end an experiment over the weekend only to find the timer keeper stopping your attempts, we apologies for this and wish you all the best with your decision from here on... hopefully you guess correctly! 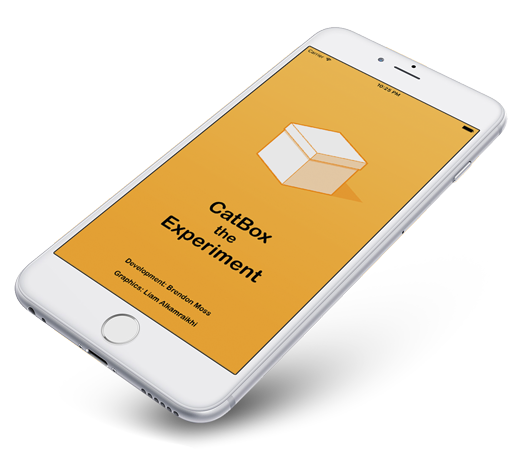 Welcome to CatBox the experiment an app that allows you to perform the Schrödinger&apos;s cat - thought experiment while not causing any harm to real living cats. The theory is to place a cat inside a box along with a randomly triggered anomaly that could cause the cat to die ( for example a poison ). With the box closed and the results of the experiment unknown, the cat is considered both alive and dead as its living state is unknown until you open the box. CatBox the Experiment extends this thought experiment to a social level where the temptation to wait as long as possible with the risk of an incorrect guess may yield a higher score if guessed correctly. Can you resist the temptation to check over the option to wait as long as possible while also avoiding the mistake of making the wrong guess? Only the cat will know... or wont know, depending on if its alive or dead! - Added new "Day" based leaderboards to help avoid number limits on the high scores, this should allow for longer experiments to take top place in the rankings. - Small adjustment to some text. - Adjusted Game Center Warnings to be confirmations to meet App Store submission guidelines, you can now start and end an experiment without needing to be logged into Game Center but for what purpose if your score does not get submitted... Oh well! it meets the guidelines now. - Small adjustment to some text. - Added Game Center sign on check to ensure a user is signed in before starting and completing an experiment, this is to prevent loss of score submission should the users experiment succeed. 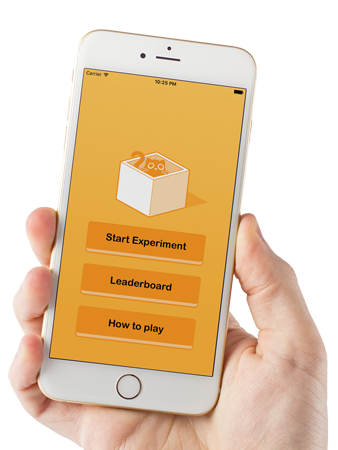 - Adjusted layout to allow for the Leaderboard button to be visible while in an experiment so that you can review the current hi-scores before choosing to end your experiment. - General improvements with the button functionality as well as now having a button push look. - How to play screen. - Ability to start an experiment. - Leader boards for Alive, Dead and All. - Achievements for successful guessing in a row. - Fly animation when the cat is Dead.